When it comes time for a wonderful summer in North Carolina, you don’t want to have to cut your backyard barbeques short because the sun went down and you have no way to see your guests. 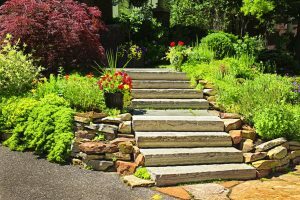 There is also the chance that, without exterior lighting, someone will unknowingly step into a flowerbed or misstep on an outdoor staircase. Rather than moving the entire party indoors or shutting things down preemptively, installing some quality lighting outdoors can be a great solution and help you entertain guests for hours. Today, the Butler Lighting team wants to give you some ideas on where to focus your outdoor lighting in order to best utilize an outdoor space when time comes for backyard entertaining. Traditional path lights: these light the length of your pathway and define the boundaries. Downlights: If you have a particularly dark area of your yard or walkway, using a soft downlights can make it much more accessible. Small spotlights: spotlights that line your pathways are not the usual, but they splash light across the width of your walkway. This will help fully illuminate the path of anyone approaching without placing any light across the yard or flowerbeds if that isn’t what you’re looking for. 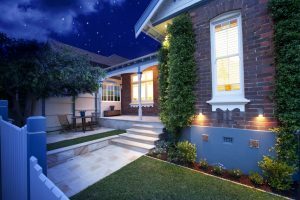 These are just a few options for lighting your exterior pathways, but you can’t go wrong with any sort of outdoor illumination, and we will go more in-depth on this topic later on. Similar to your paths and walkways, outdoor stairs and steps are often forgotten when it comes to lighting. When it gets dark, your guest may be unable to see a staircase or might misjudge exactly how high they need to step in order to clear it and get to the next level. Instead of constantly waiting to hear a loud thud when someone approaches these steps, there are stair lights made specifically for this. One option is to install flush lights on the back of each step, which will define the end of each step and help folks know where not to step. You can also line stairs similarly to using traditional path lights, which will give the user an idea of just how long each step is. Humidity and heat can be a difficult combination to endure in the dead of summer. Rather than splashing yourself with water from the hose or setting up countless small portable fans around your porch, ceiling fans can be the option you are looking for. Granted, this option is for a smaller audience as it lends itself to those who have some sort of overhead structure over their deck or patio, but that can be next on your home improvement to-do list! Outdoor ceiling fans can come with or without a light, which gives you numerous options while providing you with a fan that will circulate the air and keep you from being smothered by any encroaching heat. 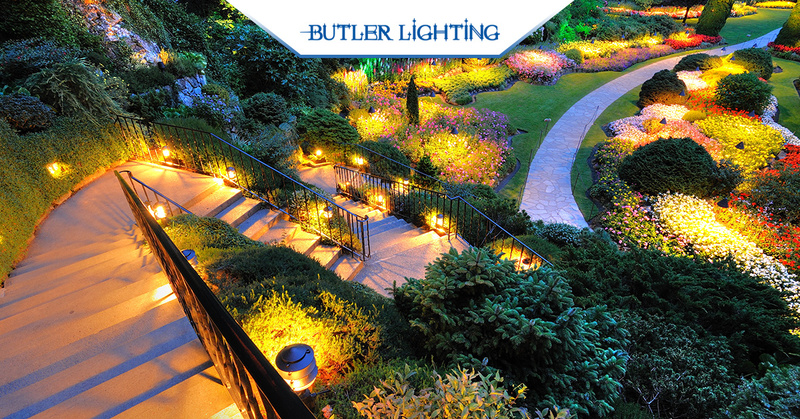 The Butler Lighting team doesn’t think lighting is just for your home’s interior. If you are looking for the best home lighting fixtures and solutions, we have just what you are looking for. Take a look through our online catalog or stop by one of our showrooms in the Greensboro area and see what makes us North Carolina’s choice for lighting!